Harold Deal ranked among the top open-boat paddlers in this country for many years. 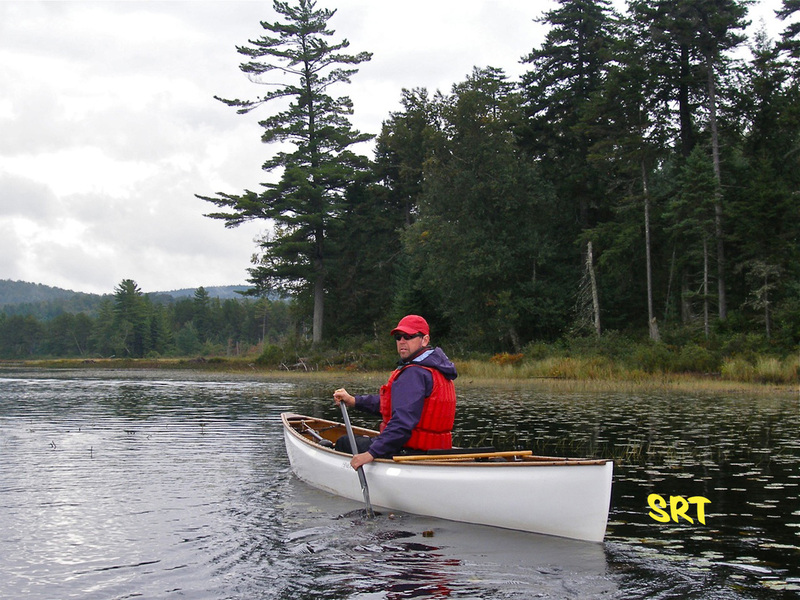 He has a solid background in several canoe-sport disciplines, and decades of experience with lightweight performance canoes. His paddling expertise has also been a source for new ideas and products over the years. When did you start canoeing Harold? I guess you have to go back to the 1950's when I was growing up with my great aunt and uncle along the Delaware River. He was an avid outdoorsman who had made numerous trips by canoe into the Canadian bush in the first half of the 20th century. We always had canoes and I was encouraged to enjoy them, which I did. One of those canoes was an original birchbark. That led to summers at a wilderness base camp for canoeing in Quebec, where I became a staff member as a teenager in the early 1960's. How did you get into whitewater paddling as a sport? Canoeing was a form of traveling on the water for me up until the early 1970's. I was also into backpacking and other outdoor activities. Then I read a notice about whitewater kayaking on a local river and went to check it out, with a canoe of course. I was impressed with what they were doing in the kayaks and became interested in whitewater as a destination. You can say that I got into whitewater playboating and custom performance canoes at the same time. 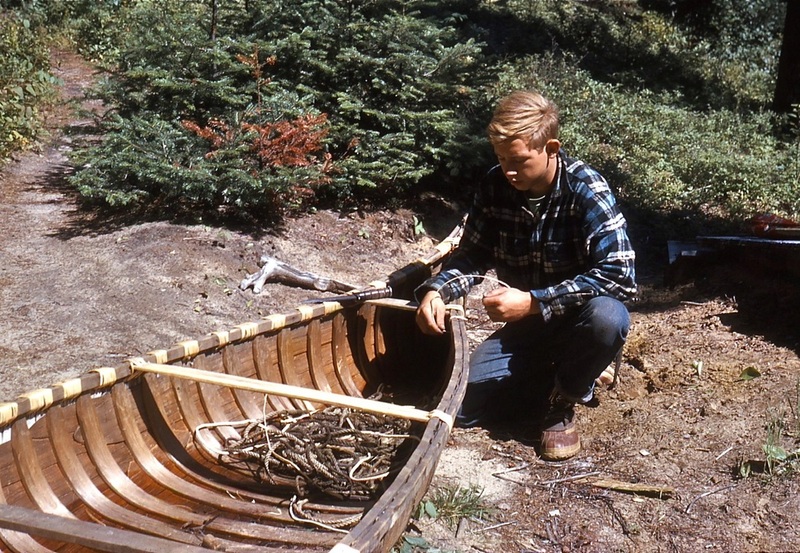 It took some research to locate a source for a small, lightweight solo canoe back then because very few people were building them. There was even a brief period when I paddled a composite kayak. I joined a newly formed club and talked to the founding members about learning the sport. Some of those members were involved in competitive paddling. Does that mean you started racing then? My first race was the Whitewater Open Canoe Slalom Nationals in 1981. The skills those paddlers had were more refined than mine at the time. It made me realize how slalom practice could improve my ability to run rivers with more precision than I had been prior to that. Racing became one of the things that I enjoyed about canoeing because it provided an incentive to work on my technique and river reading skills. I saw it as an opportunity to get together with some excellent paddlers who were serious about boat control and enjoyed canoeing as much as I did. A new class was also beginning to take shape around that time called the Solo Combined class. That caught my interest because it offered the additional challenge of racing whitewater downriver in the same canoe. Was that the only kind of canoeing you were doing at the time? No. 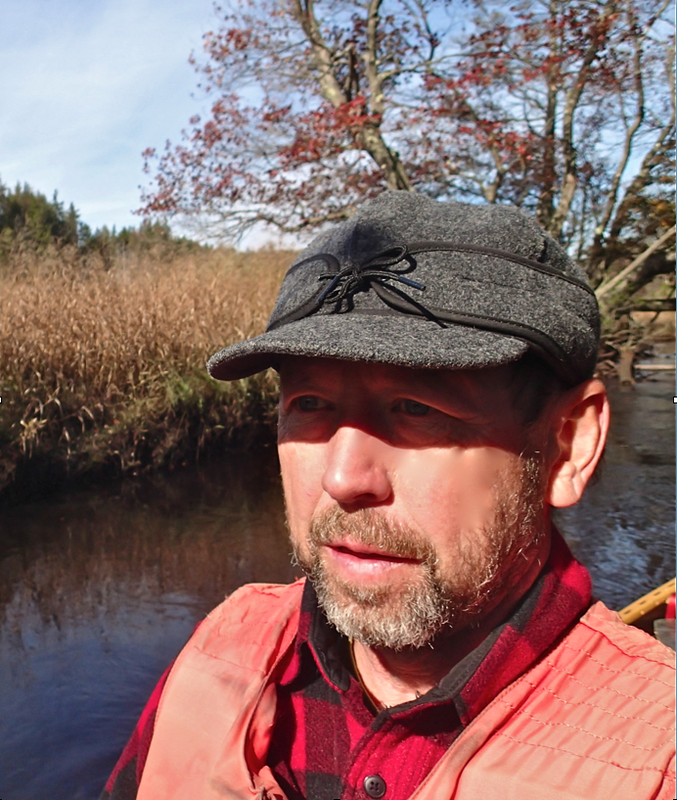 I still enjoyed wilderness canoe camping and exploring little streams in addition to whitewater playboating. I began looking for more efficient canoes for touring and quiet-water use. That's how I met Dave Curtis and many of the people he was associated with. The personal sport canoes were beginning to emerge and Dave was one of the primary sources. I remember participating in a trip to the Boundary Waters with CANOE Magazine in 1982 to promote solo canoes and solo tripping. Dave was one of the organizers for that trip, plus some of the new canoe symposiums that would follow. There were maybe three small groups known around the U.S. that were practicing various forms of graceful smooth-water paddling. I was having a lot of fun experimenting with techniques I learned from crossing over between whitewater and quiet water and combining it all with the carving and heeling characteristics, which the sport canoes had. The discipline now known as Freestyle canoeing was beginning to take shape around that time, and I was connected with the developement of that. There was a period later when I was paddling a wildwater C-1 as well, and I feel that I benefitted from the exposure with some world-class racers. So how did you get involved with canoe design? I think that was a gradual process. The dual requirements of the Solo Combined class continued to interest me, along with style or sport paddling, and canoe tripping. I conceived some ideas in 1983 that would combine certain characteristics, then supplied the specs, and consulted on a solo canoe that would be known as the Curtis Dragonfly. That boat was put into production by Dave Curtis at Curtis Canoes. 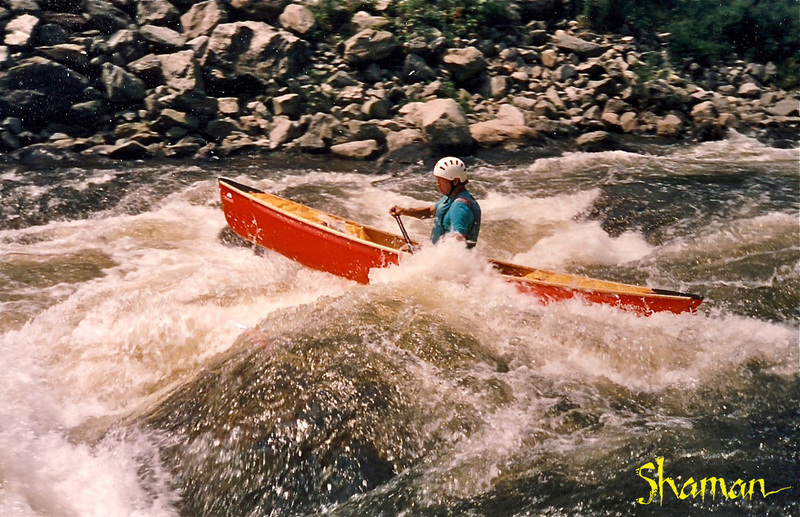 By 1990 I formed some specific concepts and had an original name for a new asymmetrical whitewater solo canoe that I called the Crossfire. I supplied the specs and consulted on that canoe, then assisted in some of the building phases of the plug at Curtis's shop. At that time I also had ideas for other solo canoes that I wanted to include in a series to be manufactured by Dave Curtis. It was in 1993 that I decided to utilize my drafting background and woodworking knowledge to loft the design drawings based on my paddling experiences and build a new whitewater solo performance canoe for the Hemlock line that I called the SHAMAN. Next Came the SRT, a sporty touring and tripping solo canoe in the Hemlock line with the capacity and characteristics for efficient river travel. You've been involved in the sport for a long time. What are some of the other things that stand out or come to your mind? I've placed first in the Whitewater Open Canoe National Championships 24 times up through the year 2001, and was one of the 100 Paddlers of the Century named in a paddle-sports magazine article, although I believe many others also deserve to have been recognized at that time. I continue to enjoy the diversity that open canoeing has to offer, both in whitewater and smooth water, and feel there is always something that can be learned from it. The level of paddling I do can be technical and have a focus on precision, or it can be peaceful and laid back. I have done enough marathon paddling to understand and appreciate the challenges of that discipline. The challenge of paddling solo for distances up to 200 miles over 40 hours continuously without any sleep, and a 41 mile open water crossing of Lake Ontario with two other solo boaters have added to my paddling diversity and contributed to cancer fund raising. I'm also fortunate to have been able to combine photography with wilderness canoeing assignments, and I enjoy paddling in different environments and all four seasons. Style, efficiency, and control are other elements of my paddling that have led to contributions to some instructional material. There are an amazing number of talented and enthusiastic paddlers in all phases of the sport, and I've had many memorable interactions with people who have similar interests as mine. The ideas incorporated in the equipment I've designed come from a lot of experience on the water and a keen awareness of how it will respond in its elements, and then it is built for paddlers who seek and appreciate high quality products and great performance. Copyright © 2015 Harold Deal All rights reserved.